Download this FREE report that will show you the easiest way to reach more people and increase your Dental Business today! Why you need Digital Marketing not only to survive, but to thrive and make potential customers call your office instead of the one down the street! Why successful clinics are growing their business to peak levels while you struggle to generate leads with traditional marketing month after month. 6 Results-Generating Digital Marketing techniques that your competitors are using right now to steal clients that should be yours. How to Revive your business with Digital Marketing and learn why you've been wasting your time with the same-old classic marketing. 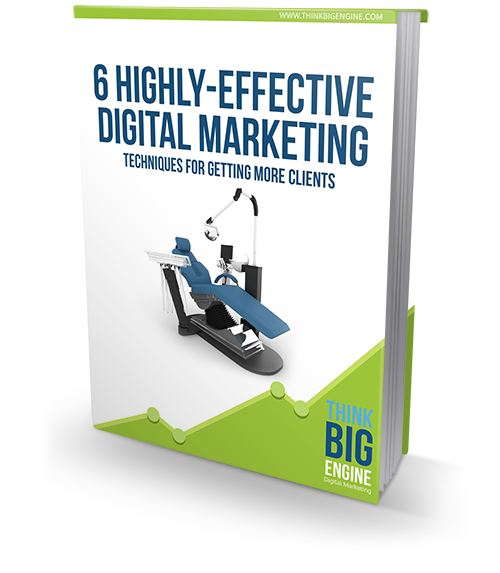 Get Your FREE Digital Marketing Guide for Dentists Now By Clicking the Button Below!